Toyohara Kunichika (1835-1900) Thirty Six Good and Evil Beauties (Zen-aku Sanju-roku Bijin): Agemaki of Miuraya, 1873. Oban. 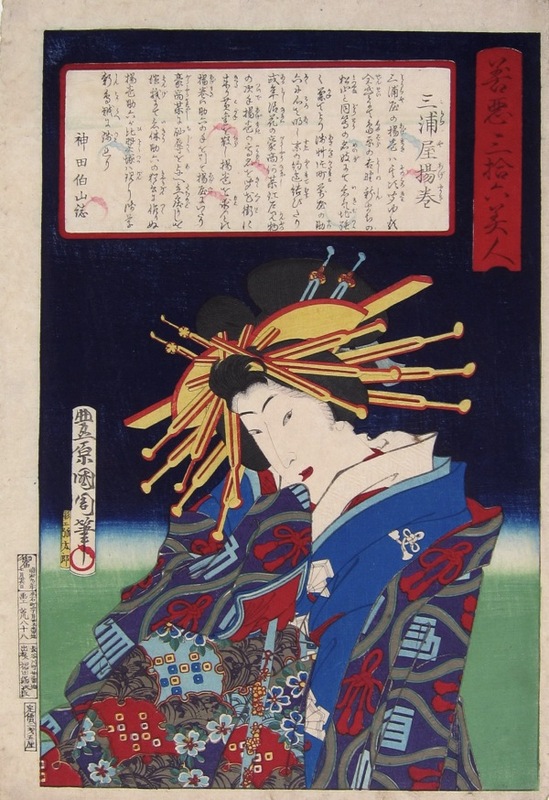 In this print, Kunichika illustrates the well known courtesan Agamaki, lover of Sukeroku and an old samurai called Ikyu. Sukeroku is in fact Soga Goro the well known hero of the epic Soga monagatori in disguise. He is trying to discover the identity of his father’s assassin and suspects the old man of possessing his father’s sword. The play shows the verbal sparring between the two male leads as Sukeroku attempts to get the samurai to draw his weapon. Agemaki has to decide between the reckless young man or the certainty of her future with the aged warrior. 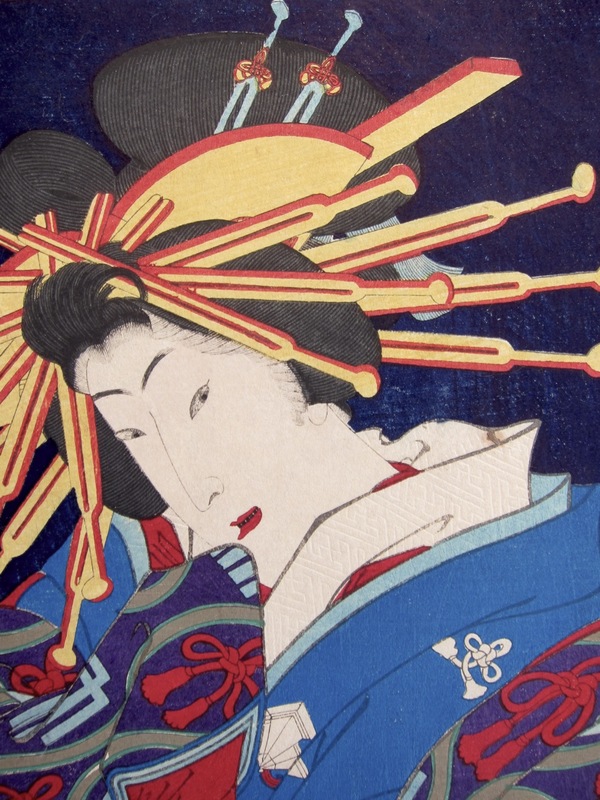 Kunichika pictures Agemaki in the traditional and lavish robes of the red light. Her hair is laden with fashionable hair pins and she wears expensive robes, richly textured and embroidered. This is a superb print in very fine condition from the first edition. The deep blue of the background is sprinkled with mica and there is deep embossing to the collar of the under robes. Full size with margins, colour, impression and state all very fine.